The ability to run fast is pretty much determined genetically by your predominant muscle type — the fast twitch fibers and how many of them you have been blessed with. Even so, that's not to say that you can't improve on what you already have. Of course, training to run fast means running fast in training, but on top of that, most serious competitive sprinters now do some sort of weight training to enhance their power and strength and hopefully their speed as well. All athletes have individual needs, and a generic program like this one will need to be modified for age, gender, goals, facilities and so on. Consider this a basic program from which to build an individual training program. The general preparation phase should provide all-around muscle and strength conditioning in the early preseason. 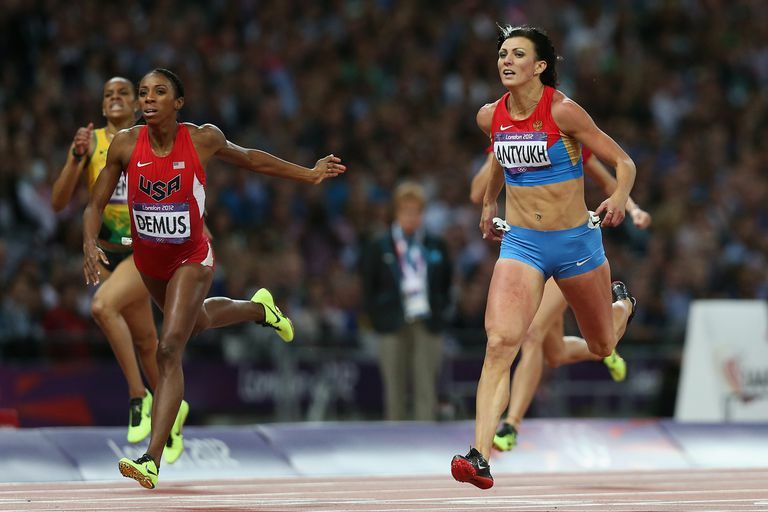 You will probably be doing sprint training on the track as well, so you will need to fit it in with your track work. As a general rule, and for all the following programs, don't do the workouts prior to track work. Do them on a separate day if possible. Nothing you do should limit your ability to train fast on the track. In this phase, you will focus more on the development of strength and power. This is the period leading up to the start of the competition. The aim of this phase is the maintenance of strength and power. Track training and competition should dominate. Prior to the start of the competition, take 7-10 days break from heavyweights to work at the end of Specific Preparation while maintaining your track work. Weight training in the competition phase should play essentially a maintenance role. Exercises: 3 sets of 10, rapid concentric movement, 40% to 60% of 1RM. Squats, power hang clean, Romanian deadlift. Crunches. Be sure to warm up and cool down prior to weight training. Don't train through injuries, acute or chronic. Don't sacrifice a track session for a weights session — unless you're treating or recovering from an injury with weights work. Paul Rogers is a masters sprinter with a bronze medal from the Pan Pacific Masters Games.